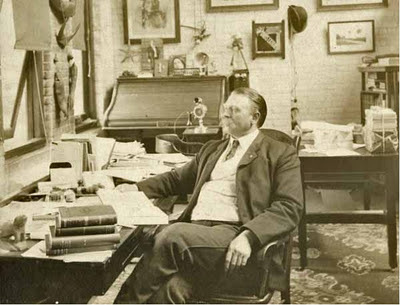 William C. Mills in his office at Oxley Hall. The Ohio Archaeology Blog recently posted an article about William C. Mills, an OSU professor and archeologist of the late 19th and early 20th century. Sullivant Hall, the big neoclassical edifice next to the Wexner Center, was originally the building that housed the Ohio State Museum of which he was curator. 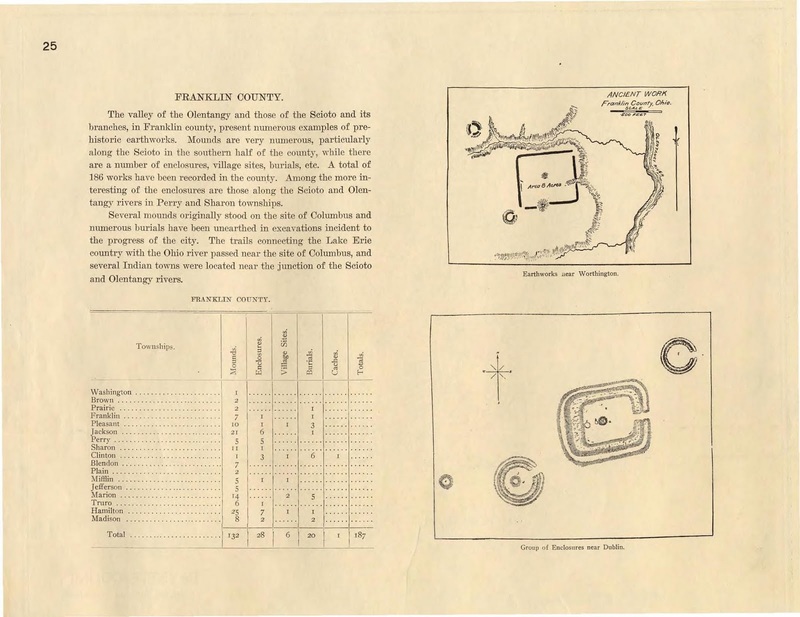 Mills was the also first director of the Ohio Historical Society, as well as (simultaneously) the director of the Ohio State Athletic Association, in charge of football, basketball, &c.
His masterwork, however, was the publication of an archeological atlas of Ohio in 1914. 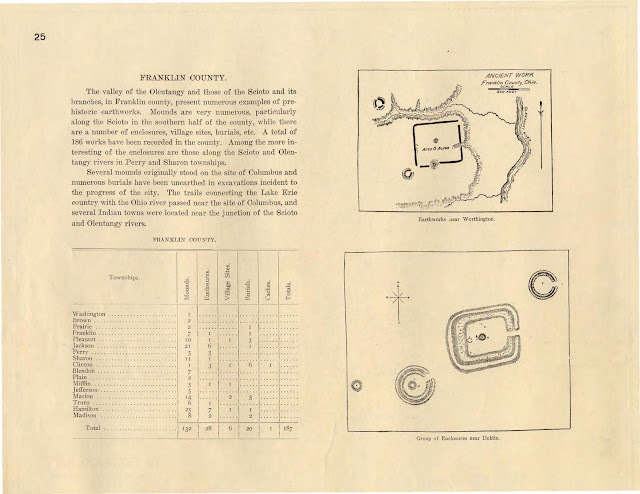 It provides a pretty comphrehensive guide to the distribution of prehistoric Indian earthworks and villages in Ohio, county by county. There are a lot of earthworks that have been plowed under, either by farming or for development (even as late as the 1950s). What's more, Mill's book provides a glimpse of Columbus as it was a century ago, when it was still quite a small city. The modern area of metro Columbus now fills the area covered by this map. 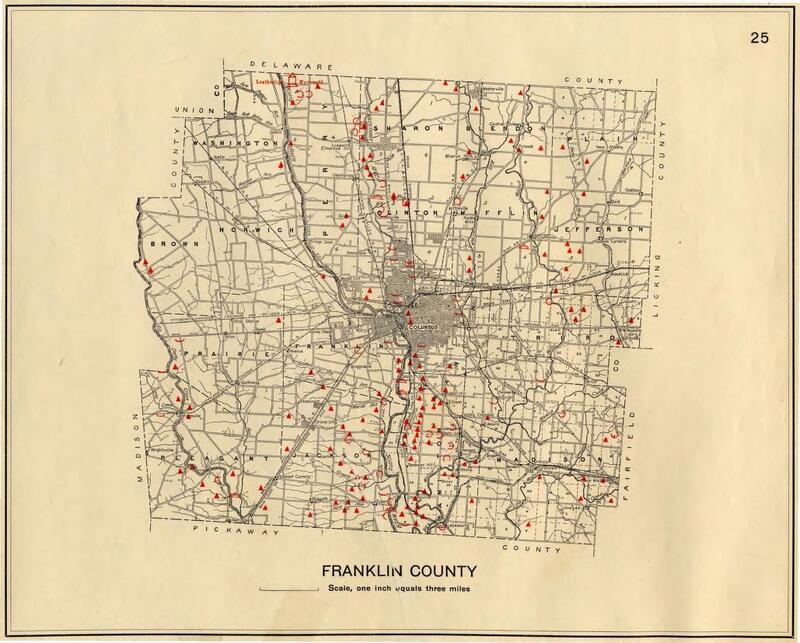 The red triangles represent archeological sites. 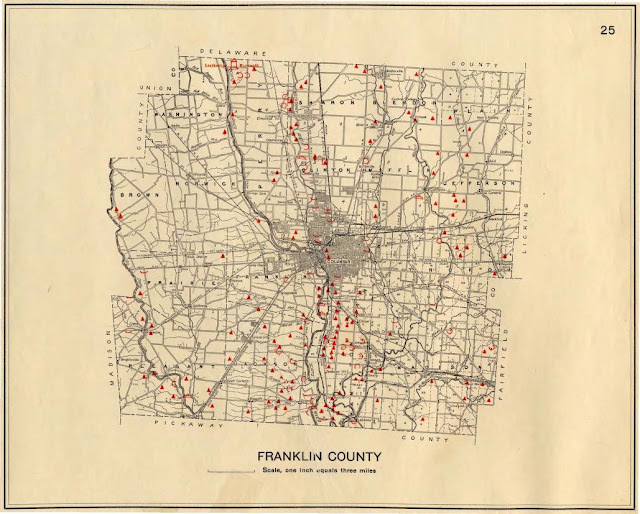 Some of the sites present in Franklin Co. There were a total of 186 works discovered, mostly along the Scioto valley below Columbus.